Following the onset of globalization, the amount of professionals able to work in foreign marketplaces on a temporary or permanent basis is staggering. When combined with the massive rise in popularity of blogging, the last ten years have seen the rise of a growing community of expats self-publishing their ongoing tales. In our research, we discovered that there are surprisingly few ‘bad’ expat blogs – perhaps it is simply because the very nature of throwing yourself into a different culture naturally generates great copy. Also, those savvy enough to cope amicably in difficult situations seem to have a knack for communicating their experiences. 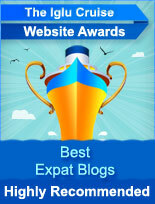 But all that said, we have picked out only the cream of a very good crop for our expat blog awards. While relocating for work is only one reason people move countries, the motives behind blogging itself are equally plentiful. Some expats write as a way of connecting with those back home, others feel the burning desire to blog as a way of getting to grips with the experiences they encounter daily. 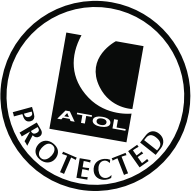 But whatever the reason, the result for the travel community is a rich tapestry of voices which portray a world at large and help other expats feel that they are not alone. The ensuing stories of those who are brave enough to permanently relocate to a different country are not only entertaining, but frequently inspiring.